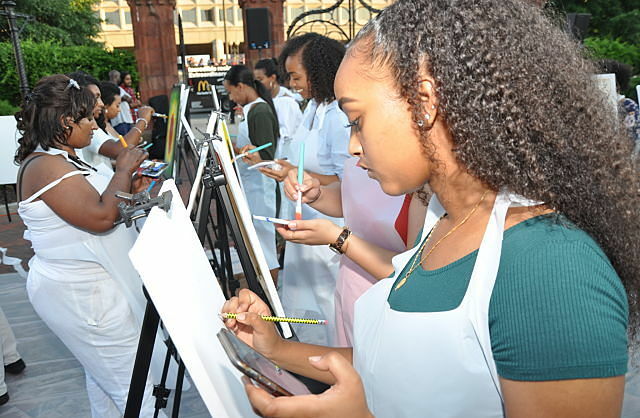 New York (TADIAS) — Last week the Smithsonian Institution’s National Museum of African Art in Washington, D.C. hosted an evening of painting and Ethiopian Jazz “under the summer skies” with Beteseb Center and Feedel Band. We featured the Beteseb art program when it was first launched two years ago as a weekly Saturday painting session for amateur artists in a rental space on 18th street in the Adams Morgan neighborhood. More information can be found at facebook.com/BetesebCenter.